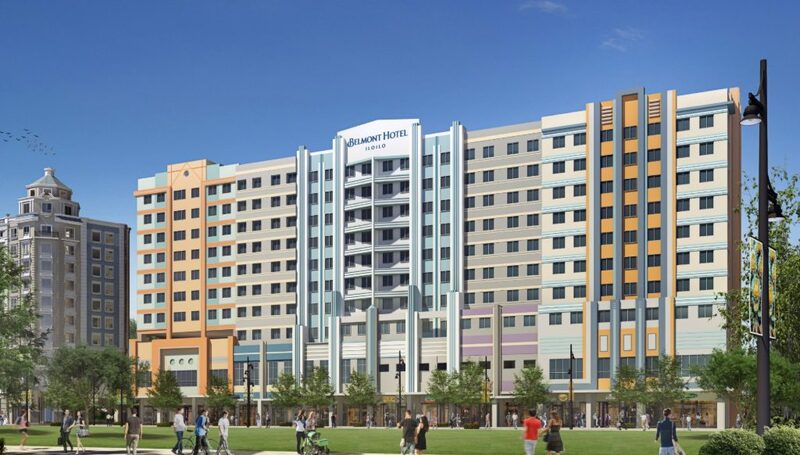 Property giant Megaworld is building its fourth Belmont Hotel inside its 72-hectare Iloilo Business Park township in Mandurriao, Iloilo City. 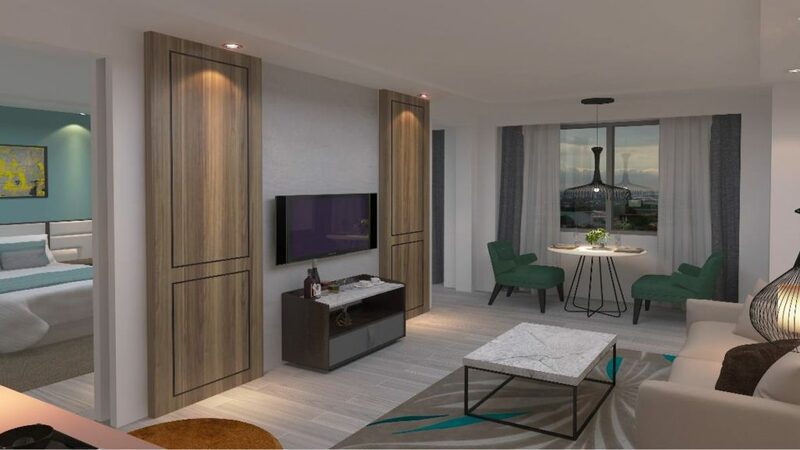 Belmont Hotel Iloilo will have 405 suites, composed of a mix of Twin Suites, Queen Suites, Junior Suites, Executive Suites, and Specially-Abled Suites for Persons with Disabilities (PWDs). The 12-storey hotel, which is the third in the entire township, will be located along the stretch of the 1.1-kilometer long Festive Walk Parade, just a walking distance to the iconic Iloilo Convention Center and the Festive Walk Mall. It will have its own swimming pool with in-pool lounge, landscaped deck with pool bar and outdoor lounge, fitness center with sauna, function room, and an all-day dining restaurant. “We have seen the huge potential of Iloilo as a tourism destination. With the Iloilo Convention Center as a main facility for Meetings, Incentives, Conventions and Exhibitions (MICE), there is no doubt that Iloilo City needs another world-class hotel. 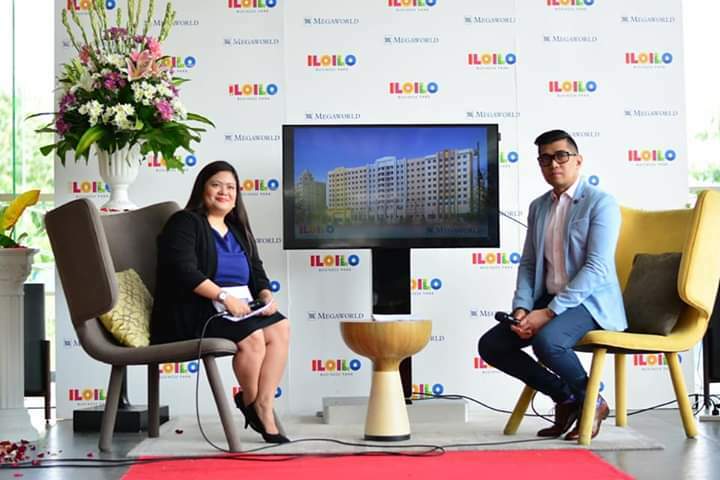 And we are bringing another Megaworld homegrown hotel brand, which has gained popularity among business travelers since Belmont Hotel Manila opened in 2015,” said Jennifer Palmares-Fong, vice president for sales and marketing, Megaworld Iloilo. Belmont Hotel Manila, Megaworld’s first Belmont Hotel that opened in Newport City, was awarded this year’s Best Airport Hotel in the 2018 Travel and Hospitality Awards. 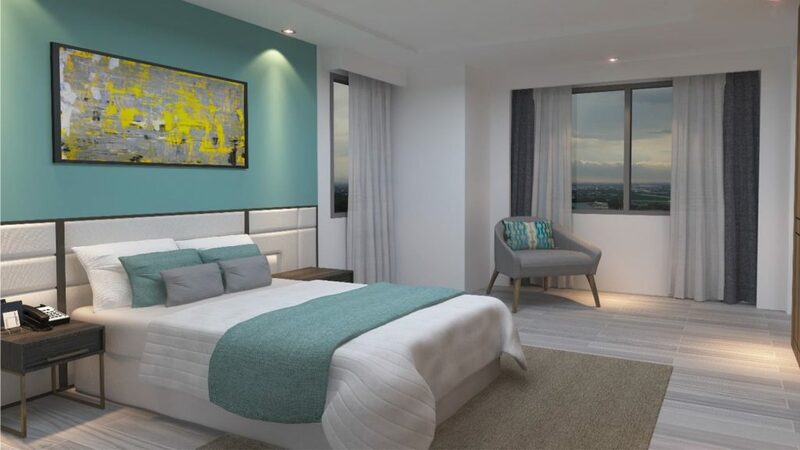 The second Belmont Hotel is set to open in Boracay Newcoast next year, while the third one will be at The Mactan Newtown, the company’s 30-hectare township in Lapu-Lapu City, Cebu. In Iloilo Business Park, Megaworld opened its third Richmonde Hotel in 2014 and its sister company Travelers International Hotels Group, Inc., owner and operator of Resorts World Manila, opened the Courtyard by Marriott early this year. According to the Iloilo City Tourism Office, tourist arrivals in the city have remarkably increased during the past five years. In 2017, around 1.08 million local and foreign tourists visited Iloilo City. Most foreign visitors came from South Korea, US, Canada, Mexico, and Australia. Tourism receipts, on the other hand, reached P19.8 billion in 2017 as registration for tourism-related establishments such as hotels rose by 55% to 1,605 last year compared to those posted in 2013. “Megaworld’s Iloilo Business Park itself is a tourist destination. Visitors come to the township to visit the Iloilo Museum of Contemporary Art (ILOMOCA), shop and dine in Festive Walk Mall, chill in Festive Walk Parade, attend events in the Iloilo Convention Center, or stay in our world-class hotels. We expect more tourists to come to our township as more establishments and attractions open in the coming months,” explained Palmares-Fong. Jennifer Palmares-Fong (left), Megaworld Iloilo vice president for sales and marketing, announces that property giant Megaworld is building its fourth Belmont Hotel inside its 72-hectare Iloilo Business Park township. Photo also shows Megaworld Corporation Senior Assistant Vice President Harold Geronimo (right).